Welcome to Coast Gravity Park, on the beautiful Sunshine Coast. Just 3km from Bayside Campground, riders of all levels will experience trails built by Coastal Crew. 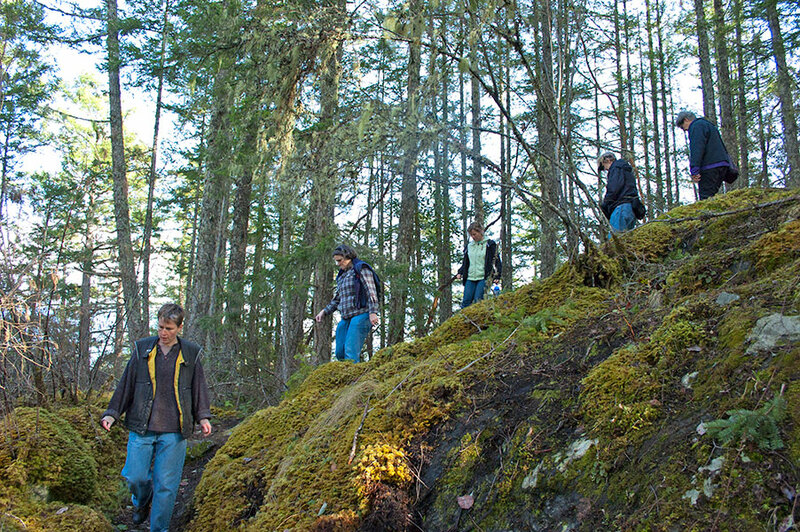 Coast Gravity Park hosts a user-friendly shuttle system to access our 12 trails carved through the pristine low elevation ocean front forest. Book your day pass now here. You can also book the entire Coast Gravity park if you want to plan a group camp & ride getaway. For more information visit www.coastgravitypark.ca - and remember, we have bike washing stations in the campground for your convenience! Our on-site water sports partners can get you set up for a half day or full day on the waters of Sechelt Inlet, referred to as our 'Inland Sea'. Porpoise Bay and Sechelt Inlet up to Tuwanek are relatively sheltered waters compared to the 'outside' (Davis Bay or Halfmoon Bay). The inside has many more wind-friendly days and there's plenty to see: the working parts of the harbour (be aware of floatplanes from the two terminals), parks and beaches, sub-community waterfronts, and wilder areas with seals, eagles, shorebirds and even whales or porpoises on occasion! The Coast is an excellent destination for hiking. There are easy, flat trails in Porpoise Bay Provincial Park, a waterfall 2 minutes up the road from Bayside, the Tetrahedron backcountry accessed via Tuwanek, and beautiful Hidden Grove trails in Sandy Hook, 10 minutes away. Further up the Sunshine Coast Highway is Smuggler's Cove Provincial Park, Homesite Creek trails & caves, Big Tree, Sargeant Bay's Triangle Lake trail system, and in Pender you can choose from the shorter Pender Hill hike for expansive views over Pender Harbour and the Salish Sea, or do the more advanced Mount Daniel hike. Trails are reasonably quiet even in high season. Of course no visit to the Coast is complete without a hike out to see the world-famous Skookumchuck Rapids. Stop at the Sechelt Visitor Centre to find out best viewing times and then allow for 45 minutes each way for the hike.